maxLevel defines the maximum depth to traverse. 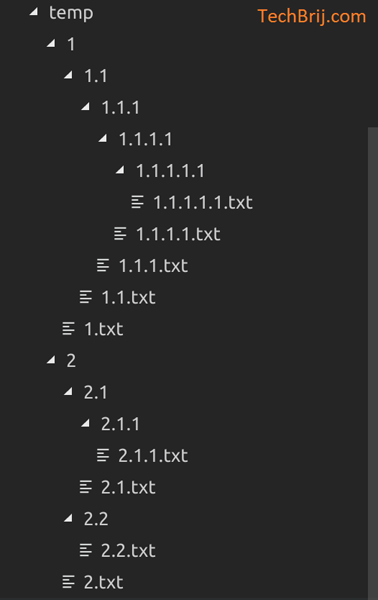 Let’s get files with max 2 levels. In this post, we saw how to get all files from a given directory using recursion and specified max depth limit. Hope, It helps.